Doctor Who: Five Doctors is awesome! 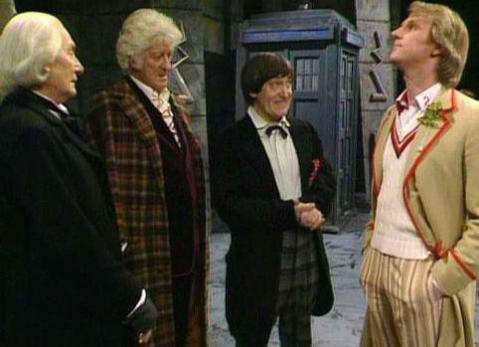 I watched the Five Doctors anniversary special last night. I was surprised how much I enjoyed it and how much I missed Pertwee, UNIT, Lethbridge-Stewart and some of the others. But I was also reminded just how AWEFUL Sarah Jane was as a companion. Such a whiner! I hadn’t really watched Doctor 5 before now, but I am really liking some of his stories. And his companions.